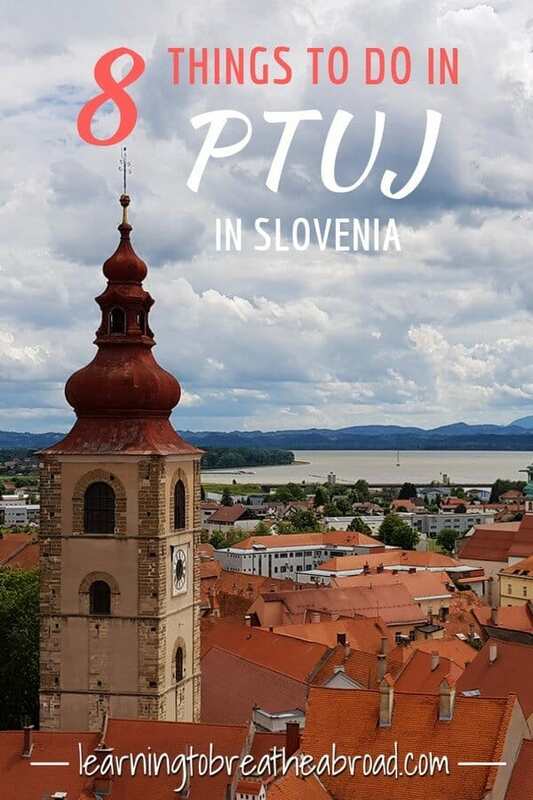 From Ljubljana, our adventure continued East to the town of Ptuj (p-too-ee), the oldest recorded city in Slovenia and inhabited since the late Stone Age. Ptuj easily rivals Ljubljana for historical importance, yet few tourists venture this far east, which is a shame. 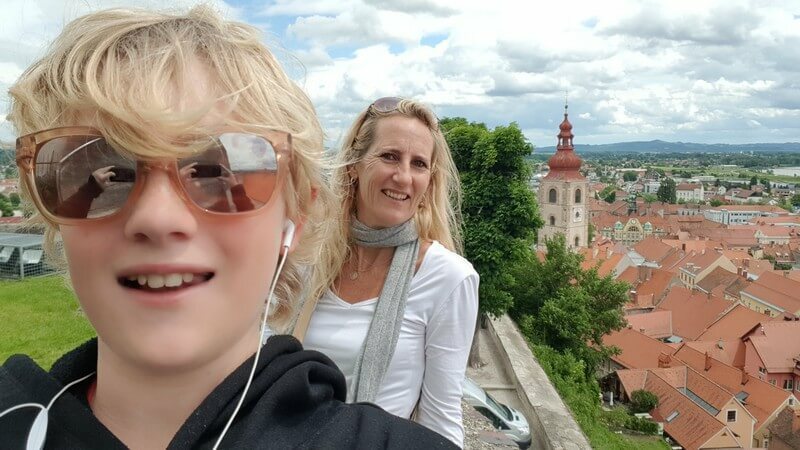 We had a whole day to explore so set out to investigate all the things to see in Ptuj. 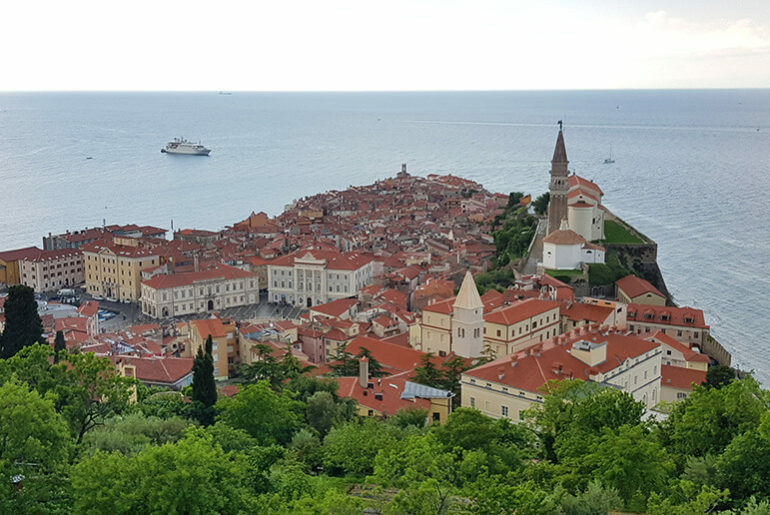 The Ptuj Castle perches on the hill, providing a panoramic view across a city of red-tiled roofs and down to the Drava River. There are signs to the castle from the central Slovenski Trg square, so finding the staircase leading up is easy. It’s a short walk, but well worth the effort for the amazing views. Visit the museum with its treasure trove of tapestries and suits of armor, view the large collection of Kurent masks and costumes or sit in the castle courtyard and have a coffee at the little cafe. Entrance to the museum is €6 for adults and €3 for kids under 15 years old. Entrance to view the traditional masks is €2 for adults and €1.50 for kids under 15 years old. The pedestrian-only cobbled streets were virtually empty and we felt like we had the whole medieval city to ourselves. It was so quiet we almost felt the need to whisper. The colourful old buildings and open-air restaurants were begging for tourists, but not many seem to stray this far East, which is a shame, as the city is enchanting! The city is small and can easily be explored in an hour. The natural starting place is Slovenski Trg square where you’ll find the tourist information center and the town clock tower in front of the Catholic Church. From here we wandered down Murkova Ulica till you reach Mestni Trg square. There are some lovely open-air restaurants and coffee shops dotting the square, which make for a good place to enjoy a cuppa while you admire the surrounding buildings. The statue of Saint Florian stands proudly in the square as a reminder of the tragic fires in the 17 Century, which nearly crippled the city of Ptuj. The townsfolk prayed to St. Florian, the patron saint of fire and erected this monument to him in 1745. From here you can walk down to Minoritski Trg , through the Mestni Park and then on to the river. 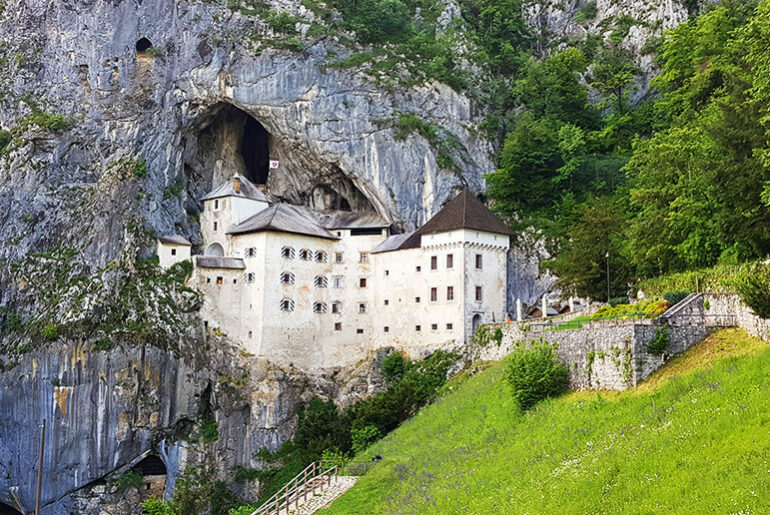 Following the river North, you will pass the Miheliceva Gallery, located in the round tower. The gallery forms part of the Ptuj – Ormož Regional Museum and was established in 1967. In 1992, the gallery was renamed after painter France Mihelič and now showcases up to nine exhibitions annually. 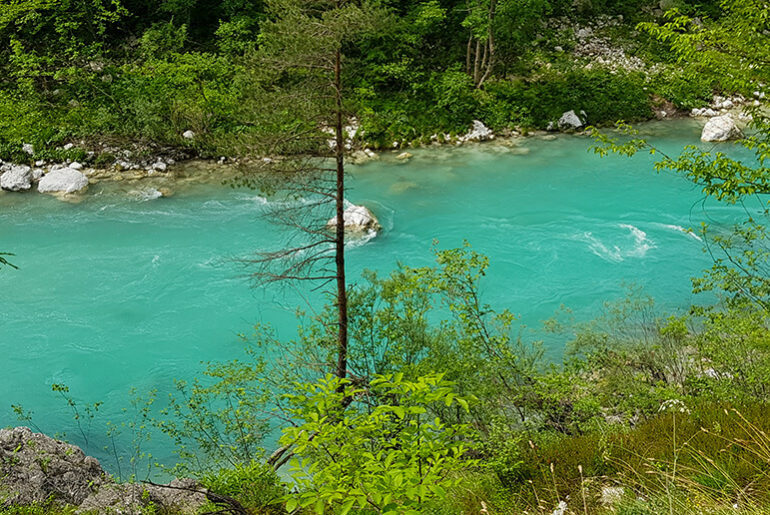 Our campsite gave us 50% off on the thermal pools and we met two fabulous British ladies, also doing a 6-month trip, so we had a fabulous afternoon in the indoor/outdoor pools, saunas, jacuzzis and slippy slides. The campsite is a bit run down, but it was a 5-minute bike ride to the old city of Ptuj and we got 50% discount on the thermal pools next door, which were great! Indoor and outdoor pools with slides, sauna and jacuzzi. The outdoor wasn’t open when we were there but in summer it must be amazing. We paid 6Euro to enter the thermal pools. The campsite was 18 Euro with ACSI, but then they charged an additional 2 Euro per person per day for Tourist Tax and 2.50Euro for Camp registration per person.